Healthy Living knows insulin pump technology and how to get our members up and running with insulin pump therapy quickly. Our dedicated Insulin Pump Therapy Team has a strong reputation with customers, healthcare providers, health plans, and insulin pump manufacturers for outstanding customer care. We can help you choose the pump that is the best fit for you and works with your insurance coverage. 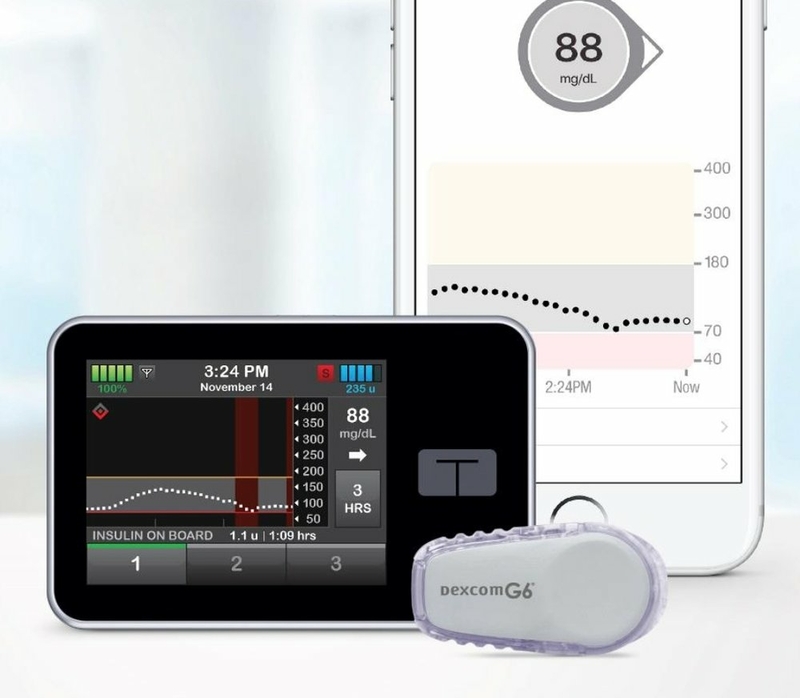 t:slim X2 integrates with the Dexcom G6 CGM system. Software can be updated so your pump is always current with the latest technology. Simple-to-use full-color touch screen - the only touch screen insulin pump on the market. Compact and slim profile is discreet and easy to wear. Carb-counting wizard makes it simple to calculate boluses. t:slim X2 has durable watertight housing and a Bluetooth radio to communicate with compatible devices. Cartridges for the t:slim X2 model hold 300u. The MiniMed 670G constantly self-adjusts to automatically keep your sugar levels in range. All pumps have built-in or optional Continuous Glucose Monitoring (CGM) systems. A wireless connection to the Contour Next Link meter is available. Simple bolus wizard tool makes it simple to calculate boluses. Small, lightweight pump with no tubing that attaches to skin with adhesive. Auto-insertion allows users to never see the needle. Great for an athletic lifestyle and for pediatrics – it’s tubeless and waterproof (25 feet for 60 minutes). No disconnect is needed for sports or water activities which allows continuous insulin delivery without interruption. Built-in blood glucose meter means there is no need to carry a separate meter. 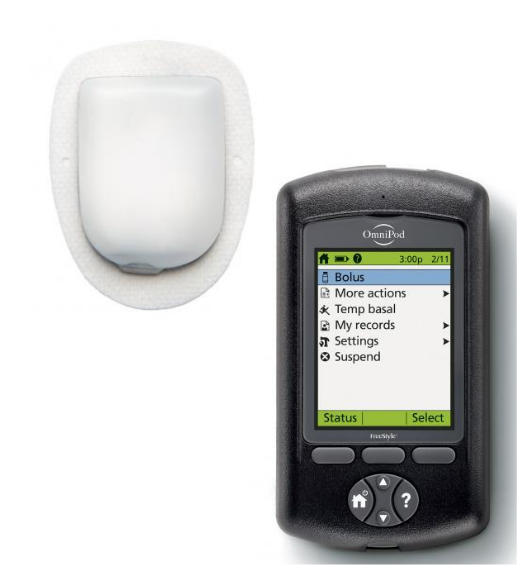 Handheld PDM (Personal Diabetes Manager) allows you to wirelessly manage your insulin delivery. Learn more about the pump supplies we offer here. Reach out to learn more about insulin pumps and how to begin. Thank you! A member of our Insulin Pump & CGM Therapy Team will contact you shortly.